Hound Labs' breathalyzer and base station. California Highway Patrol Sgt. Jaimi Kenyon blows into a alcohol breathalyzer during a demonstration of devices used to test drivers suspected of impaired driving May 2017, in Sacramento, Calif. Lawmakers and police are hoping new devices will be developed to effectively test for marijuana use by drivers. Christine Glenn sorts marijuana at the Blum marijuana dispensary in Las Vegas. "We are trying to make the establishment of impairment around marijuana rational and to balance fairness and safety," says Hound Labs CEO Mike Lynn in his downtown Oakland, Calif., office. In a freshly pressed dress shirt and short hair, it's clear Lynn is no stoner inventor with a pipe dream. The former venture capitalist is a practicing emergency room trauma physician in Oakland and an active SWAT team deputy reserve sheriff for Alameda County, Calif. He knows first hand the devastating effects drugged and drunk driving can have. He picks up a small plastic box. "This is a disposable cartridge. And there's a whole bunch of science in this cartridge," Lynn says as he slips it into the device about the size of a large mobile phone. A small plastic tube sticks out of one end. Hound Labs says its device can accurately detect whether a person has smoked pot in the last two hours, a window many consider the peak impairment time frame. "When you find THC in breath, you can be pretty darn sure that somebody smoked pot in the last couple of hours," Lynn says. "And we don't want to have people driving during that time period or, frankly, at a work site in a construction zone." Negative. No THC or alcohol in Lynn's system. For law enforcement, Lynn says, "really the key is objective data at the roadside, just like we have for alcohol." Tools now on the market to determine marijuana test blood, saliva or urine can take days for a result. More importantly, they can't really tell whether a person has smoked a half hour ago or eight days ago. THC dissolves in fat so it can stay in your body up to a month after use. But Lynn claims the company has overcome the technical and scientific hurdles and can accurately measure THC in breath molecules in parts per trillion. That's "kind of like putting together more than a dozen Olympic size swimming pools and saying, 'Hey, go find those 10 specific drops of water and in those 10 pools put together.' It is it is ridiculous how little [THC] there is" in breath. Alcohol impairment is measured in parts per thousand. "THC is something like a billion times less concentrated than alcohol. That's why it hasn't been done before because it's really hard. It's taken us five years to overcome those scientific obstacles." The machine detects THC's mere presence in the breath, but it cannot calculate the amount of THC consumed. Police are trying to figure out who is potentially impaired, Lynn says, compared to "somebody who smoked maybe yesterday or a few days ago and is not impaired. They're not in the business of arresting people that are not impaired when it comes to marijuana. That makes no sense at all." 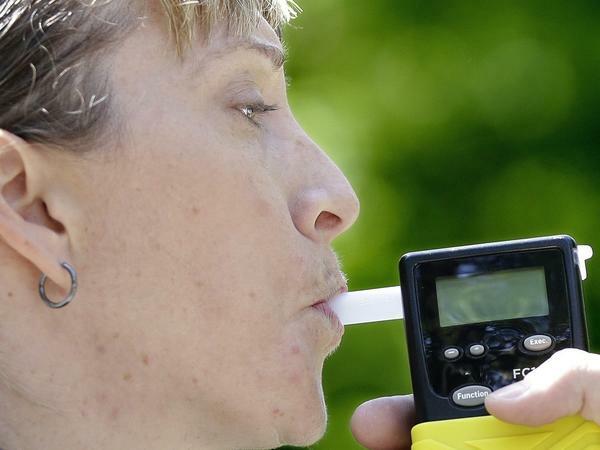 A few police departments plan to start testing Hound Labs' breathalyzer this fall. "They're interested in it providing objective data for them at the roadside," says Lynn. "That's really the key, objective data at the roadside — just like we have for alcohol." There's still no agreement on what amount or level of THC in breath, blood or saliva constitutes functional impairment. So far only seven states, including Washington and Montana, have set legal guidelines as to how much THC in the system makes you dangerous behind the wheel. Yet some scientists are skeptical, saying those limits aren't really backed by hard science. In the rest of the country, courts, police and scientists haven't been able to agree on which THC level constitutes functional impairment. Drugged driving incidents have risen steadily over the last decade plus, paralleling the nation's opioid abuse crisis and decriminalization of pot. The Governor's Highway Safety Association raised the alarm in a recent report saying State Highway Safety Officers now rate drug-impaired driving "equal to or more important than driving while impaired by alcohol." But to what extent and how long marijuana affects driving response, judgment and skill is not yet fully known. And what role, if any, THC played in those car crashes is unclear. "We need more research to establish the dose-response relationship between THC level and crash risk," says epidemiologist Guohua Li, who directs the Columbia center and conducted that study. Li, who calls drugged driving "a silent epidemic," says that additional research is vital because "there's a widespread misconception that it's OK and is safe to drive after smoking pot. And the public — especially teenage drivers — are not well aware of some of the hazards of drugs such as marijuana on driving." A major study underway on driving impairment at University of California San Diego's Center for Medicinal Cannabis Research is scheduled to wrap up next year. "We are not only looking at how impaired a driver is at different levels of smoking, but also how long that impairment lasts," the study's lead author, Thomas Marcotte, recently told Member Station KQED. "It's going to be a major issue in our city as more and more motorists drive after the legalization of recreational pot," Boston's Police Commissioner, William Evans, told NPR in an email. He says the department would soon test Hound Labs' breathalyzer. Evans, who retires this week, added, "I opposed the legalization, now we need tools to combat its ill effects. These instruments by Hound Labs and others are going to become necessary." But while police departments are optimistic, they're taking a wait and see approach. "We'd like to get to point where there's a little more courtroom acceptance and a little more acceptance in the scientific community," says Kevin Davis, assistant chief of the California Highway Patrol Enforcement and Planning Division. Davis says while these breathalyzer devices hold promise, his agency's questions about courtroom admissibility and liability will, for now, keep the CHP on the sidelines of beta testing such devices. "We're obviously very excited about the prospect of having a tool like that in our officers' hands," Davis says, "assuming we can identify the best ways of when and how it should be used, and how it will be admitted in court, and things of that nature." Davis says the CHP plans to train up more officers to detect drugged drivers under its Advanced Roadside Impaired Driving Enforcement program. It's a 16-hour classroom course followed by field work to learn how to conduct cognitive tests and detect physical signs of impairment by marijuana or other drugs. The agency also offers a more in-depth Drug Recognition Expert (DRE) course to train officers on how to detect and deter drugged driving. "One of these guys is going to do it," says David Downs, the California Bureau Chief for the cannabis news site, Leafly, and an industry expert. "It's just a question of who and how adaptable it is for the side of the road, in the middle of the night, in a blizzard. And a lot of these other conditions that police officers face." Downs says Hound Labs may be in the lead and "stands a good shot at in terms of their technology being able to positively detect active THC in the breath within an impairment window. It's a big thumbs up or thumbs down signal police can use and a real big evolution over things like the Drager 5000, which are these active THC oral swabs that can have more variance and more false positives," he says. Downs, who's been on the cannabis beat for nearly a decade and published several books on the topic, says drugged-driving laws clearly haven't kept pace with the cannabis revolution. Many in the industry, as well as consumers, would like to see more states where pot is legal settle on a science-based cut-off limit for THC level impairment. "That would eliminate a major roadblock to further acceptance and normalization and sort of mainstreaming of cannabis as a consumer product. By far the biggest criticisms that's raised as these reform efforts advance, is the issue around driving," says Downs. It could also help stem the unequal application of the law when it comes to cannabis-impaired driving and states with 'per se' standards and ones that have no such standards. "We could be putting behind bars people who are safe and we could be letting go people who are a real danger." For now, Downs' advice to recreational pot users out on the town: "Just take a Lyft or an Uber, you know. Now more than ever, you don't really need to drive." Police across the country are growing concerned about stoned drivers behind the wheel. Thirty states and Washington, D.C., have legalized medical marijuana. Nine of those, plus the District, have legalized recreational pot. One California company now says it's made a major breakthrough in creating what some thought of as a kind of unicorn - a marijuana breathalyzer. 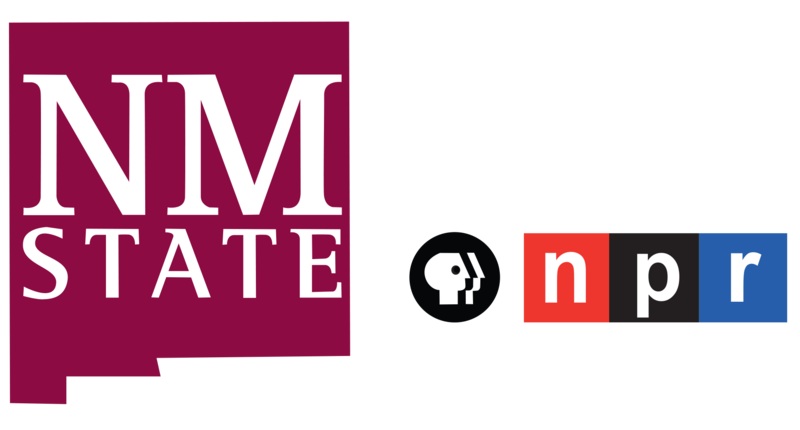 NPR's Eric Westervelt has our story. ERIC WESTERVELT, BYLINE: In his downtown Oakland office, Mike Lynn holds his creation in the palm of his hand. It's a device about the size of a large mobile phone with a small, plastic tube and a slot for a cartridge. WESTERVELT: Lynn is not some pipe dream stoner inventor. The entrepreneur is also a practicing E.R. trauma doctor and an active SWAT team medic. He's seen firsthand the sometimes devastating impact of drunk and drugged drivers. The CEO of Hound Labs, the scientific device company he founded, slips a new cartridge into the pot breathalyzer and starts to blow. LYNN: All right. Here we go. WESTERVELT: Indicator bars show whether the machine detects any THC, the psychoactive component in pot. Tools now on the market to determine marijuana use test blood, saliva or urine. But those devices can take days for a result. And they can't tell whether a person has smoked a half hour ago or eight days ago. THC dissolves in fat, so it can stay in your body up to a month after use. But Dr. Lynn says his company's device detects whether someone has smoked pot in the last two hours, what's considered the peak impairment window. It accurately does that, he says, by measuring the mere presence of THC molecules in parts per trillion in your breath. LYNN: And that's in contrast to alcohol, which is parts per thousand. THC is something like a billion times less concentrated than alcohol. That's why it hasn't been done before because it really is hard. WESTERVELT: The company hopes to have the breathalyzer ready for sale by early next year. 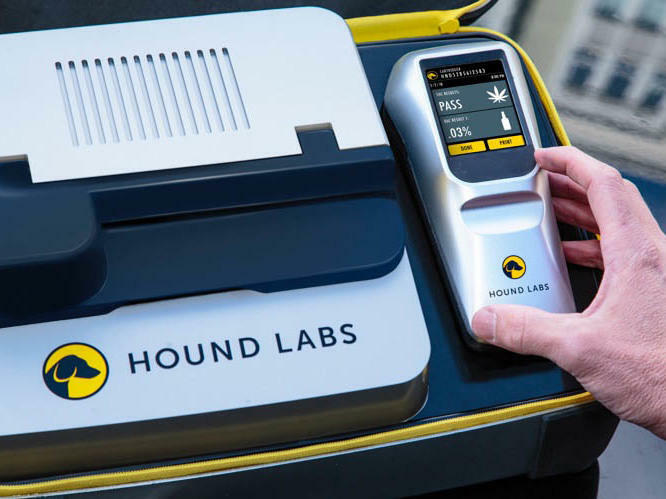 A handful of police departments, including Boston, plan to work with Hound Labs to test the device starting this fall. LYNN: For law enforcement, their issue is trying to figure out who's potentially impaired versus, hey, who's somebody who smoked maybe yesterday and is not impaired. They're interested in it providing objective data for them at the roadside. WESTERVELT: Just like they have for alcohol. But a big problem - there's still no scientific or legal consensus on what amount of THC equals functional impairment. That matters to the courts. Only seven states have set basic legal guidelines as to how much THC in the system makes you dangerous behind the wheel. At Harvest, a stylish dispensary in San Francisco's Mission District, David Downs does some market research. DAVID DOWNS: Romo (ph), which is really scrumptious. WESTERVELT: The California bureau chief for the cannabis news site Leafly has his nose in a jar of Indica-dominant hybrid buds. WESTERVELT: Downs, an expert who's written four books on marijuana, says many in the industry would like to see more states where pot is legal try to settle on a science-based cut-off limit for THC level impairment. DOWNS: That would eliminate a major roadblock to, like, further acceptance and normalization and sort of mainstreaming of cannabis as a consumer product. By far, the biggest criticism that's raised as these reform efforts advance is the issue around driving. WESTERVELT: Studies since legalization on marijuana and driving have been mixed. One at Columbia University showed that half of young drivers age 16 to 25 who died in car crashes were under the influence of alcohol, marijuana or both. But exactly what role THC played in those crashes is unclear, says epidemiologist Guohua Li, who conducted that study. GUOHUA LI: We need more research to establish the dose-response relationship between THC level and crash risk. WESTERVELT: Another study by the National Highway Traffic Safety Administration showed that while marijuana users are more likely to be involved in crashes, that risk may be in part because pot users are also more likely to be young men - a group already at high risk for car wrecks. Eric Westervelt, NPR News, San Francisco. Transcript provided by NPR, Copyright NPR.